YouTube signs deal to screen Channel 4 TV programmes | What Hi-Fi? Shows such as Peep Show, Skins and Hollyoaks will be available for free on the Google-owned site shortly after they're broadcast live on Channel 4. The channel will also make available some 3,000 hours of archive programming including shows such as Brass Eye, Derren Brown and Ramsay's Kitchen Nightmares. Andy Duncan, Channel 4 chief executive, was naturally please about the 3-year deal: "Making our programmes directly accessible to YouTube's 20 million UK users will financially benefit both Channel 4 and our independent production partners and help bolster our investment in quality British content," he said. The deal is set to go live in early 2010, and will run alongside Channel 4's existing 4oD video on-demand service. Channel 4 will be able to sell advertising around their content on YouTube, and sell the content to other platforms if it so chooses. 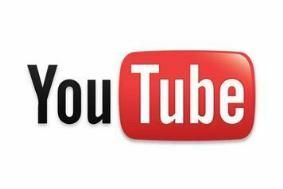 Last week YouTube revealed that it was serving more than 1 billion video streams each day globally.